After launching an improved camera experience and advanced editing tools for its iOS app, Vine is giving its Android version the same treatment. The biggest addition by far is the option to import videos. Similar to Instagram, this means users can shoot and edit videos with other, perhaps more sophisticated apps before bringing them in for the final upload. From the camera screen, just press the upward arrow icon in the bottom left-hand corner. 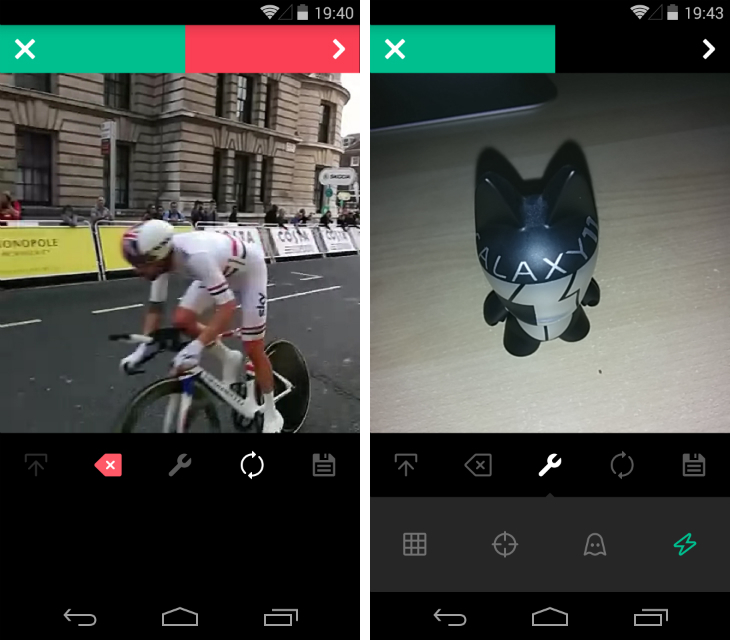 Clips can be previewed in Vine’s square-crop format and trimmed to six seconds or less. If you still have time remaining, you can import additional videos and Vine will stitch them to the end of your loop automatically. Similar to the iOS app, there’s also a shortcut (the arrow icon with a cross in the middle) that lets you preview and delete the last shot. Particularly useful if you need to reshoot something, but don’t want to delete your entire Vine. 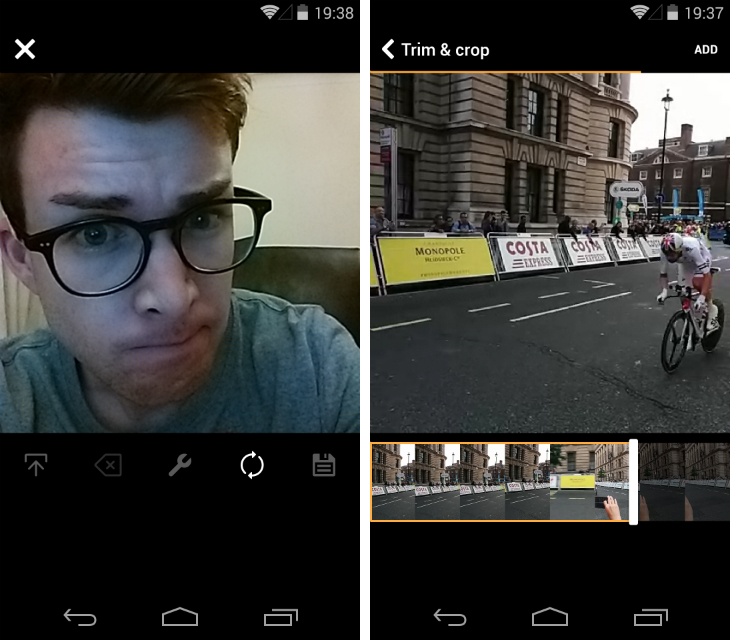 Long-time Vine users should appreciate the improved capture tools too. A wrench icon visible on the camera screen hides a bunch of advanced features: Today’s new addition is a “torch” mode that switches the flash on. iOS users were also given a new grid level and the option to focus lock with the front-facing camera, but neither appear to be available in the Android app. After tapping the arrow in the top right-hand corner, you’ll be given a final preview of your Vine. Before hitting the large green “tick” icon though, you can now press edit and unlock some additional editing options. These include the ability to duplicate and trim specific shots in your loop.